KANSAS CITY, Mo. (Sept. 29, 2016) – Oktoberfest Live! presented by Leinenkugel’s KC is coming to the Kansas City Live! Block on Saturday, Oct. 8. The event is family-friendly from 11 a.m. – 4 p.m. and after 4 p.m., only attendees ages 21 and older will be allowed entry. After 4 p.m., there will be a $10 cover charge at the door unless guests purchase one of the ticket packages. The festival includes an appearance from John Leinenkugel, the youngest of the fifth generation of the Leinenkugel family. John will be replicating what they do at Oktoberfest in Wisconsin and will have a golden keg that he will bring down from the stage to tap at Leinenkugel’s around 2:30 p.m. Oktoberfest Live! will also include live entertainment, a weiner dog race, German-inspired festival food, an abundance of beer, prizes and more. Leinenkugel’s will be serving up brats, Bavarian pretzels and more. MeMa’s Bakery will be serving German desserts. Tasting Ticket includes admission into Oktoberfest Live!, a tasting glass and a flight of choice of five craft brews (two ounce pours) from 4 – 7 p.m. Participants will receive a tasting card and can visit the three tasting tents from 4 – 7 p.m. to redeem five samples of their choice. Tickets can be purchased online at www.ticketfly.com. The VIP package includes admission into Oktoberfest Live!, a souvenir Oktoberfest plastic mug, exclusive access to Leinenkugel’s patio and bar during the VIP session, two Leinenkugel’s 16 ounce beers, a fish fry, a gourmet pretzel and a Leinenkugel’s swag bag. There are two VIP sessions to choose from. One session is from 4 – 6 p.m. and the other session is from 7 – 9 p.m. Both sessions are sold online as separate ticket types, but both include the same offerings. Tickets can be purchased online at www.ticketfly.com. The Das Boot Community Tables include one reserved table (seats ten) at Kansas City Live! from 4 – 11 p.m., admission into Oktoberfest Live! for ten guests, five pitchers of Miller Lite or Leinenkugel’s Oktoberfest beer, commemorative “das boot” glassware for ten guests, table service and Leinenkugel’s swag. These community tables will be located in the middle of the action in the Kansas City Live! Block. To purchase a Das Boot Community Table, contact Leinenkugel’s at 816-398-9320.
o Up to 36 dachshunds will race in the weiner dog race in the Kansas City Live! Block. A $10 entry fee is required. Non-winners of first round heats can run in consolation races to compete for a place in the finals with the Grand Champion crowned among all the winners. Dachshund’s must be registered at http://bit.ly/WeinerDogRace. o John Leinenkugel will have a golden keg brought down from the stage that he will tap at Leinenkugel’s. o Traditional German folk band will play in between contests that take place on the Kansas City Live! stage. Visit www.festhausmusikanten.com for more details. 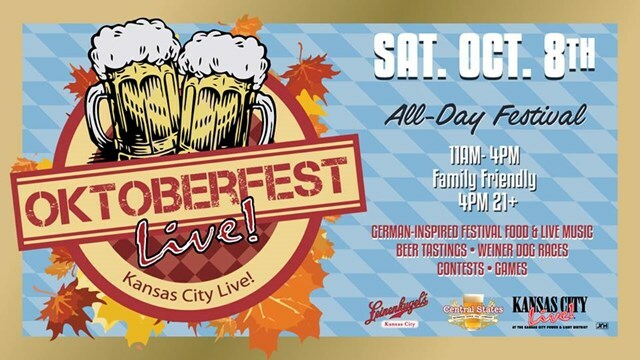 Sprint Family Fun Days, held in the Kansas City Power & Light District, will be taking place at the same time as Oktoberfest Live! on 14th Street between Main and Walnut Street. Event includes trick-or-treating, pony rides, a barnyard petting zoo, live entertainment, bounce houses and more from 11 a.m. – 3 p.m.
· StoneLion Puppet Theatre’s Boneyard Jamboree: 11:30 a.m. – 12 p.m. and 1:15 p.m. – 1:45 p.m.
· Legacy School of Dance: 11:10 a.m. – 11:20 a.m. and 11:40 a.m. – 11:50 a.m. and 12:20 p.m. – 12:30 p.m.
· Mr. Stinky Feet: 12:45 p.m. – 1:15 p.m. and 2 p.m. – 2:45 p.m. Admission to Sprint Family Fun Days is free for children and adults. Fees apply for premium activities. An all-access wristband is $5 per child and face painting tickets are $2 with purchase of all-access wristband or $5 without wristband. Visit www.powerandlightdistrict.com/familyfun for more details. For more details on Oktoberfest Live!, visit www.powerandlightdistrict.com/Oktoberfest. The Kansas City Power & Light District is a vibrant eight-block neighborhood in the heart of downtown Kansas City linking together the Bartle Hall Convention Center, Sprint Center, offices, hotels, entertainment, cultural destinations and residential communities. The District is home to the brand-new One Light Luxury Apartments, Kansas City Live! Block, Arvest Bank Theater at the Midland, Alamo Drafthouse Mainstreet Theater, the international headquarters of H&R Block and more. The combination of dining, entertainment, shopping, nightlife and residential within the Power & Light District’s imaginative and innovative design, has created an intriguing 24/7 neighborhood. 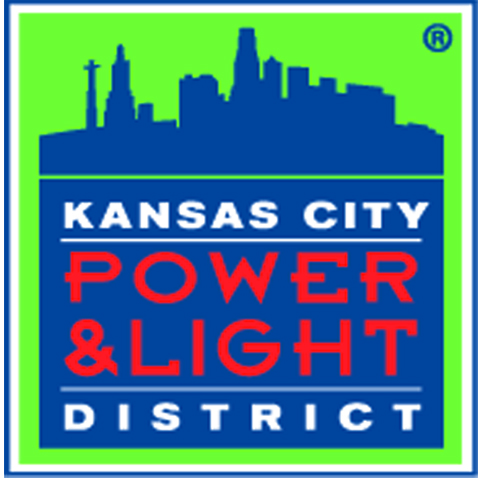 For more information on the Kansas City Power & Light District, visit www.PowerAndLightDistrict.com.